To trace the history and lineage of the Openweight title means tracing judo back to its arrival on the Olympic stage and to look back through the careers of the pillars of the sport. It all really begins with one of the most famous Olympic stories of all time. Judo's appearance at Tokyo 1964 hypnotised the world when the late 10th Dan and legendary Dutchman Anton Geesink beat domestic opposition in their backyard to become the first non-Japanese Olympic judo champion. That stirring victory, which showed the world that there was more to do competition judo than just Japan, came in the men's Openweight category which was one of four all-male weight categories at judo's first Olympics. Geesink, who actually came into the Olympics as the 1961 Openweight world champion -- something that is often overlooked -- became one of the sport's leading attractions and his story and the scale of his accomplishment gave a newly-found allure to the Openweight division. There is no weight category in judo which is more steeped in history, tradition and icons of the Gentle Way than the Openweight category. Geesink. Ruska. Uemura. Lorenz. Yamashita. These are the five judo titans who won Olympic Openweight gold when it was part of judo's programme at the Games from 1964 -- 1984. The men's Openweight category was the only weight category contested at judo's first World Championships in 1956 in Tokyo which was won by Natsui Shokichi. Openweight led the way in 1958 when Sone Koji won and 1961 when Geesink became the first non-Japanese world judo champion. The World Championships added three weight categories in 1965 to match the Olympic programme. Between 1956 and 1991, when the Worlds were held every two years, Japan were only beaten to gold once in the Openweight category when Geesink beat Sone. Japan's dominance of the division effectively ended in 1993 when Europe came to the fore and enjoyed unbridled success as Rafa Kubacki (POL) won it in 1993 and 1995, with David Douillet (FRA) triumphing in 1995, Alexander Mikhaylin (RUS) in 2001, Dennis van der Geest (NED) in 2005 and Teddy Riner (FRA) in 2008. Beijing 2008 Olympic silver medallist Abdullo Tangriev (UZB) produced a watershed moment in 2011 when he became the first Asian male judoka from outside of Japan to win the title. Shinohara Shinichi, Suzuki Keiji, Muneta Yasuyuki and Kamikawa Daiki were the four Japanese judoka able to break Europe's strangehold of the title but were never able to win it a second time. Europe have retained control of the men's Openweight category for the best part of the 90s and the 00s and now in 2017 a European is the man to beat in Teddy Riner (FRA). The women's Openweight category was included in the first women's World Championships in 1980 in New York and Belgium's Ingrid Berghmans started as she intended to go on. IJF Hall of Famer Berghmans won the Openweight World title four times in succession (1980, 1982, 1984 and 1986) to amass a stunning quadruple and a gold medal that would never be surpassed. 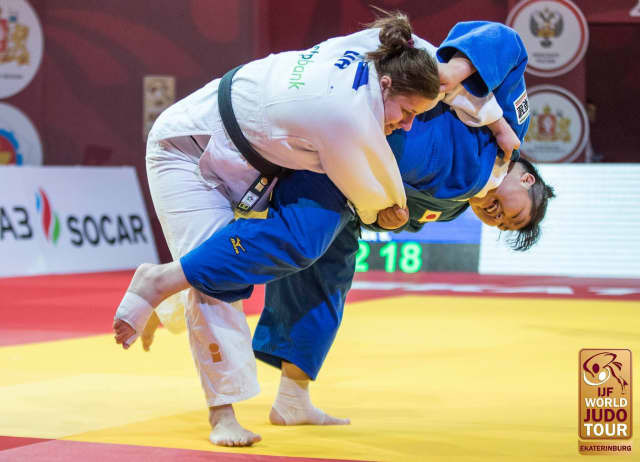 The Openweight category continued to headline the women's World Championships until 1987 when the International Judo Federation started to hold a joint World Championships for men and women. China's Tong Wen won the title three times while Daima Beltran won it twice as only three female judoka have been able to win the Openweight title more than once. For women the Openweight story was halted in 2009 when it was not contested at the World Championships in Rotterdam before returning a year later in Tokyo and then was a stand-alone event alongside then men in 2011. The Women's version of the Openweight category has never appeared at the Olympic Games and so the worlds version has always been the top prize for judoka who are confident and talented enough to take on the best judoka from multiple weight categories. Belgian great Berghmans believes that the resurrection of the event this year means judo is returning to its roots this weekend. "I just read about it not so long ago and I had a big smile on my face when I saw the price money," said Berghmans who won the -72kg gold medal at the 1988 Summer Olympics, where women's judo appeared as a demonstration sport for the first time. "The Openweight was the beginning of judo and it was my favourite category. But in that time we had judo players who where not only from the heavyweight but also from the middleweight category. "That was probably the reason why they stopped this category because it was only the heavyweights who participated for a while. "I hope there are some judo players from different categories. My memories of that weight class is that the tactics where different as you fought heavy players as well as smaller and faster players .You needed to change things in your head in order to perform and to win." All 56 judoka entering this weekend's blockbuster are anxious to make their bid to be crowned an Openweight World Championships winner. The two gold medallists will add their name to a winners list which is replete with judo's most celebrated judoka. With every Openweight victory from yesteryear, often achieved by a famed heavyweight champion, a story of their win and performance lives on in the ages and is still retold by those who were there and those who have met these great physical specimens and champions of the sport. Every undersized judoka stepping to take on the heavyweights will have the same desire as those who walked before them and as those who now rule judo's land of the giants. Whether they can topple a seasoned heavyweight is one of the most captivating aspects of an Openweight competition. To be able to call yourself an Openweight world champions means that you confronted all forms of challengers, and some for the first time in your life, and stood the tallest as the champion of everyone who had the heart and desire to dispute one of judo's most coveted prizes. 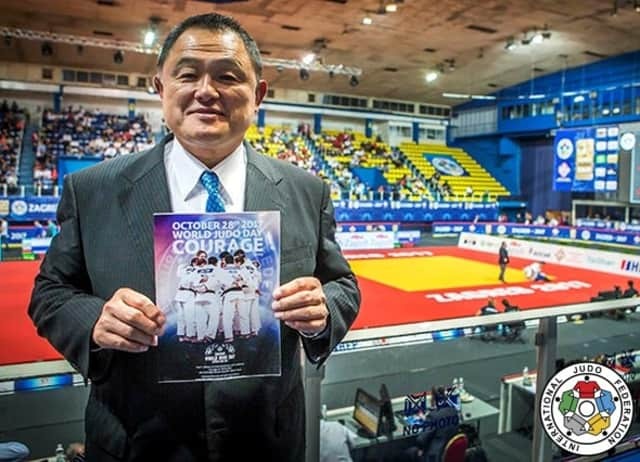 Olympic and Openweight World Championships winner Yamashita Yasuhiro, who is widely regarded as the greatest judoka of all time, believes fan can expect an exciting spectacle in Marrekech. "The "Musabetsu" (Openweight) Category has a long tradition in judo. 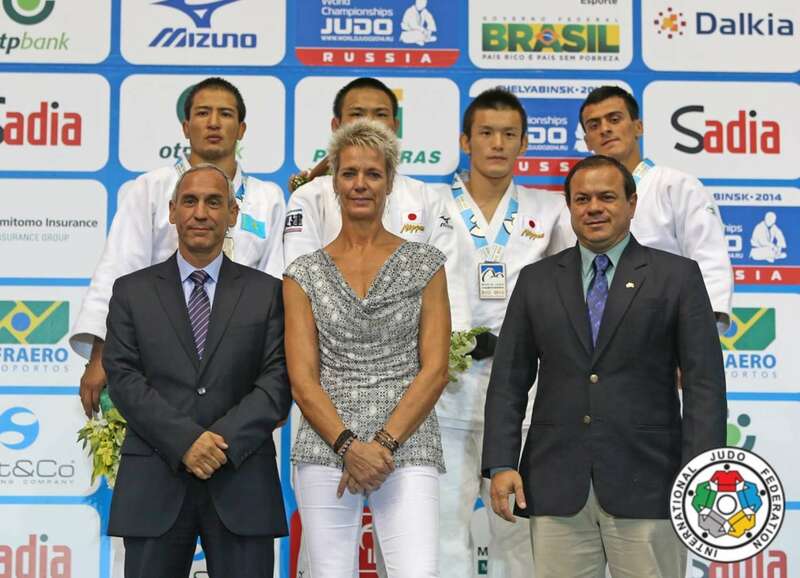 This year, judoka from all categories will gather in Marrakech to compete for this prestigious title. Although the smaller judoka may have a smaller chance of glory, it will be very exciting to watch who will be crowned as the strongest judoka amongst all categories." Yamashita, who is now the President of the All Japan Judo Federation and an IJF Development Director, will be in attendance in Morocco. "I hope these Championships to be the opportunity where athletes show their daily efforts regardless of their weight differences and demonstrate the spirit of "Ju yoku go wo seisu" (softness subdues hardness)," added the Japanese great. An Openweight competition is a meeting ground of champions from different weight categories and this can create a host of dream matches. A skim through the entry list sets the hearts beating for judo fans as well as judoka as they calculate all the potential mouthwatering clashes. Could we see The King v The Icon? Riner will be relentless in his bid to become a 10--time world champion while Iliadis is coming out of a one-year retirement just to compete in Marrakech. There is no seeding at the Openweight Worlds which means that such a fanciful contest could take place in the opening round. Rio 2016 Olympic bronze medallist Cyrille Maret (FRA) looked at home on his +100kg debut at the Abu Dhabi Grand Slam where he won gold in convincing fashion. No judoka knows Riner better than Maret and if it materialises this will be an engrossing contest. This clash of generations is one that all judo fans and especially Georgian's will hope comes to fruition this weekend. European champion Tushishvili won the hearts of the masses and the respect of judo's most decorated champion when he tested Riner in the worlds semi-final in Budapest. Tushishvili was nine years old when Georgia-born Iliadis won the Athens 2004 Olympics and the only thing than can outweigh the level of fascination that would surround such a contest is the scale of respect that they will show for each other afterwards. Idalys Ortiz has had the mantle of being the leading force in the women's heavyweight scene since she arrived on the international stage in 2006. 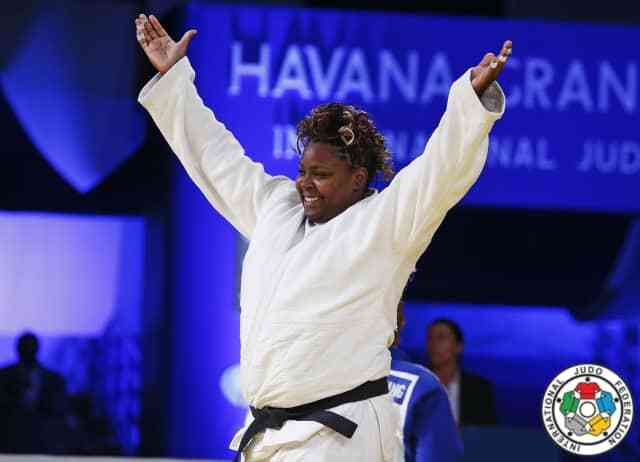 Ortiz, who starred in the IJF #JudoForTheWorld Cuba video, has won all three colours of Olympic medals available having medalled at all three Olympics she has entered (2008 bronze, 2012 gold, 2016 silver). The two-time world champion has not fought since she took silver at the Olympics last year and has ended her sabbatical early to come back at the Openweight Worlds. The 28-year-old always intended to continue fighting to the Tokyo 2020 Olympics but had planned a longer break to totally replenish her mind and body before the qualification phase starts in May 2018. Ortiz's return will excite world silver medallist and the early favourite for the women's heavyweight title in Asahina Sarah (JPN). The explosive 20-year-old is ranked second in the world and won thee Grand Slams in a row before taking silver on her Worlds debut. This contest would be worthy of any stage in the sport and could tell us a lot about what we can expect from both judoka in the Tokyo 2020 Olympic cycle. One former Openweight World Championships winner will be in Marrekech working for the International Judo Federation. Five-time world medallist and 2004 Olympic bronze medallist Dennis van der Geest won the 2005 Openweight World Championships. Now a prominent television presenter in the Netherlands and a sought after DJ, the Dutchman is one member of the IJF's roster of announcers. "I was very happy to hear that the Openweight Worlds is coming back," said van der Geest. "It is the heritage of our sport, a lighter, smaller, less strong judoka can still win. And if you think of the most popular people in all martial arts the big guys speak the most to your imagination." The Netherlands' much-admired heavyweight recalled his own experience of the Openweight Worlds and what it took for him to come out on top. "For me it was a dream come through after a few medals at the worlds before and losing the final two years before while I felt I was the best that day. It is always difficult to fight lighter opponents. They have less to loose and sometimes less power in kilograms but more stamina and tempo. Jang Sung-Ho (KOR) was my first fight and it was a difficult one. He was the -100 silver medallist that tournament and sometimes people forget that a guy who weighs 100 kilo is still a really big guy!" Van der Geest looked ahead to this weekend and hopes that the male judoka will go forward and test Teddy Riner. "I hope there will be a few judoka who are willing to fight Riner hard, and not settle with a loss. If you beat him you will be remembered because he is the greatest of all time in our sport." Former Openweight World Championships winners Teddy Riner and Alexander Mikhaylin -- who met in the London 2012 Olympic +100kg final -- are both locked in for Saturday. Athens 2004 Olympic champion and three-time world champion Ilias Iliadis makes his return which could very well be a one-off appearance. Georgia will field four judoka in seach of their first Openweight World title. Man of the moment Guram Tushishvili (GEO) is joined by Varlem Liparteliani, Adam Okruashvili and Levani Matiashvili. Idalys Ortiz and Asahina Sarah have world number two Larisa Ceric (BIH) and world bronze medallist Iryna Kindzerska (AZE) among a 16-strong field of contenders who come from 13 different nations. The Openweight World Championships 2017 also represents a new chapter for prize money in judo. 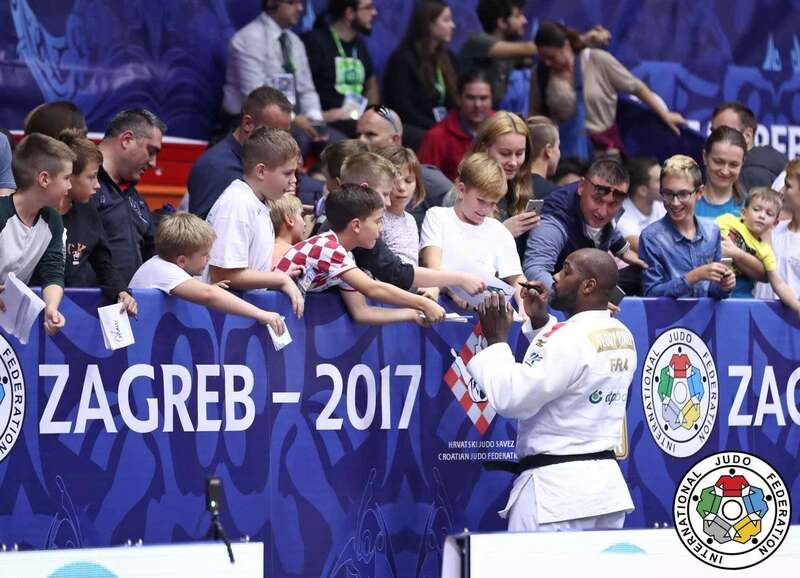 A record amount of prize money will be on the table thanks to the IJF's ability to attract new sponsors and partners at a time when the sports market is saturated and more competitive than ever. Gold medallists will earn a record €100,000 with silver medallists scooping €50,000 and bronze medallists taking home €25,000. The prize money continues beyond the medallist as judoka who finish fifth will earn €10,000 while a seventh-place is worth €5,000. 30. Jan. 2019 / IJF President Mr. Marius L.